If your web hosting provider offers reseller hosting, you may be in a position to earn extra money. Or cut your web hosting costs to your clients. This is a way that you become a middle man between the hosting company and your customers. You decide how much to charge and allocate the resources of your server. Reselling hosting is a plan that you become your own hosting company. There are several types of servers that you can do this with. Virtual private server (VPS) or a dedicated server are the most popular options. Once you have your reseller plan going. You get to create your own hosting plans. This includes bandwidth, disk space, and pricing. If you are planning on doing this, makes sure you have a control panel that supports multiple users and permissions. Your customers will need an area to make changes to their accounts. The plus side to doing a reseller account is having the ability to not only pay for your web hosting costs but pull a small profit. It can also be used as a branding tool that shows that you have your own hosting services. There are a handful of great hosting companies that offer reseller plans. Do note that these plans will cost a bit more than regular shared hosting. But come with increased disk space, bandwidth, and the ability to separate user permissions in the control panel. HostGator is a well-known company that offers reseller hosting. They give you all the tools to be your own hosting company. From user accounts, bandwidth allocation, to billing software. InMotion is going to be your cheapest plan on this list for reseller hosting. Not only do you get a cheaper price, but you also get more bandwidth, disk space, and dedicated IP address. More for less. Become your own hosting provider, there is more responsibility. You will need to find your own customers. This can be done through a multitude of marketing strategies. Any slots unfilled is money out of your pocket. You will need to help your clients with support. The hosting company will have its dedicated support team to help with any major issues. As they are your customers, they will be looking towards you. Your clients billing cycle will need to be managed by you. Meaning you need to send out invoices and collect payments. The companies above will provide you with software to help automate this, but you will need to watch it. Any non-payments will need to be enforced by you. Having a reseller hosting account can give you the first impression of owning your own business. You will start seeing a pattern of selling, marketing, and customer service. All the major backbones of any business. Mastering these can not only pay for your own hosting but become a nice stream of income. I always try to get the best facility for my web hosting. That's why I prefer Host Gator company most. 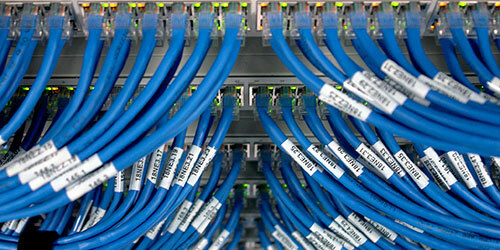 They deliver standers service with cheap dedicated servers. i think Hostgator is the best for hosting besides of their price, it have many features evolved. i read the article about your company. So, far it is Good.